A lot of home appliances can be recycled to get the most value out of it. Recycling used appliances helps the environment. Here is a guide to help you recycle an old refrigerator. Metals like steel, copper, and aluminum can be found in the refrigerator scrap. In order to make more money, the metals need to be separated and scrapped individually. Inside the refrigerator, you can find aluminum racks, shelves, and dividers. Aluminum is also present in the freezer. Use wire cutters to cut the outer layer of the power cord and remove the protective coating in order to get to the copper wire. Using a magnet you will get to know which parts are metals and which are not. Locate the copper lines that contain the chemical Freon. Since this chemical is hazardous to the ozone layer, it requires a professional who is certified to remove it. The removal of Freon requires the use of proper tools and EPA Certification. Look for local companies that rebuild air conditioners that may take the Freon. The compressor can be sold as a whole to metal recyclers. Inside the compressor, you will find the copper motor. Cut the refrigerator into manageable parts so that it is easy to transport it. Separate all the parts based on the metal type. Some of the new refrigerators also come with stainless steel on their bodies and doors. 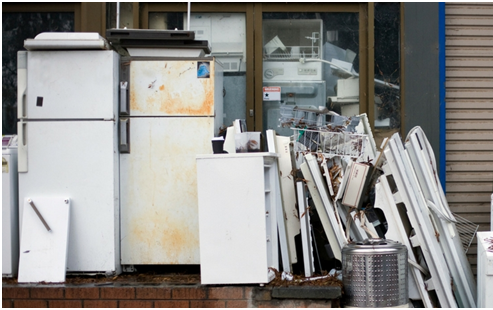 Look for scrap metal dealers in Dubai to get the most out of your old refrigerator.